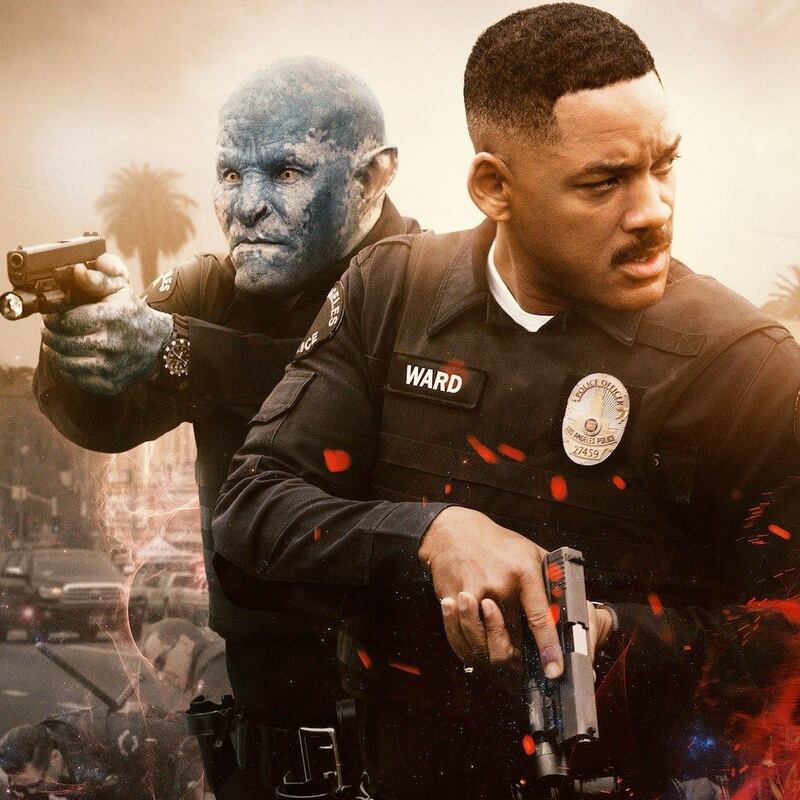 The biggest problem with the $100 million Netflix film Bright — starring Will Smith, Joel Edgerton and Noomi Rapace — is that it is trying to be too many things at the same time. 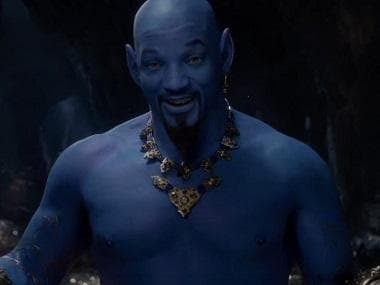 Bright, directed by David Ayer (who also directed Suicide Squad), is set in an alternate reality in which human beings live alongside fantasy creatures like elves, orcs, fairies and centaurs in present-day Los Angeles. The movie is about human LAPD officer Daryl Ward (Will Smith) and orc rookie officer Nick Jakoby (Joel Edgerton) — the first orc LAPD officer — who get involved in a sinister conspiracy and are attacked by several groups after they discover a rare magical artefact called a wand. 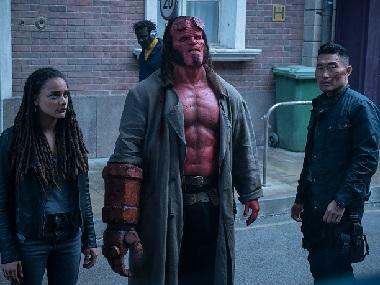 The movie tries to be a buddy cop movie and fantasy film while trying to incorporate messages about classism and racial discrimination at the same time. Bright basically tries to mix elements from movies like District 9, The Lord of the Rings and Training Day. The result of this amalgamation is a half-baked movie which is neither a great buddy cop movie nor a good fantasy film. Because of a cluttered screenplay, the fantasy in Bright is highly superficial. Words like ‘the prophecy’, ‘Dark Lord’ and ‘Shield of Light’ are thrown around without even telling the viewers what they actually are. The viewers are never told the specifics of what the prophecy has predicted. We also never find out who the character with the highly unoriginal and clichéd name ‘Dark Lord’ is or what this Lord has done in the past. It’s like the movie just wanted the viewers to assume that someone with the name ‘Dark Lord’ must be truly evil. There’s also talk of a conflict which took place thousands of years ago and orcs choosing the wrong side, but we’re again told nothing more about this conflict. These aspects, by the way, are crucial to the plotline of Bright. Their vagueness is the biggest sign of bad writing in the movie. The movie also deals with the concept of magic in a lazy and childish way. Apart from the fact that the wand can be used only by a skilled being called a ‘Bright’, the film never explains the mechanics behind the magic of the wand until the last ten minutes, and even that explanation is unclear. The main feature which saves Bright from being a sheer disaster is good acting by Will Smith and Joel Edgerton. Smith is convincing as a cop who is frustrated because of being stuck between corrupt police officers and an upright partner. There is a scene in which Ward’s reaction to the death of a major character shows how hard-hitting Smith’s acting can be. On the other hand, there is only so much good acting can do when a character has not been written well. There are several scenes in Bright in which Ward is being unnecessarily aggressive or irritated. For example, there’s a car chase scene in which Ward and Jakoby are in a police vehicle and are trying to escape from attackers chasing them in another car. The attackers’ car hits the police vehicle and forces it to turn sideways. After Ward and Jakoby get out of trouble, Ward tells Jakoby: ‘Drive straight, not sideways’, as if Jakoby was intentionally trying to drive the car sideways. It is obvious that such one-liners coming from Smith’s character are gimmicky and intended to include humour, which ends up looking forced. The best performance in Bright undoubtedly comes from Edgerton. The Australian actor effortlessly plays a character who is conscious of and utterly pained by the never-ending racism he has to face from almost anyone who is not an orc. Even Edgerton’s body language and the way he moves successfully portray the low confidence and high stress his character is suffering from. You can’t help but feel bad for Jakoby, who is just a really nice guy trying to maintain his optimism in a world that is extremely harsh to him. Because of good acting by Smith and Edgerton, there is a scene in the beginning of the second half of the movie, in which Ward and Jakoby truly bond for the first time, which is moving. However, Noomi Rapace’s talent is wasted as she portrays a villain whose motivations are vague. The worst character in the movie, though, is Tikka (Lucy Fry). Tikka’s actions and expressions in the entire movie can be aptly described using just two words: Scared, whimpering. It seems as though Fry’s only job in Bright was to appear dazed and frightened. Her character, who is the most important after Ward and Jakoby, also has minimal dialogue. In fact, everything she says in the movie can written in around half a page. Another minor positive which Bright has is its visual appeal. 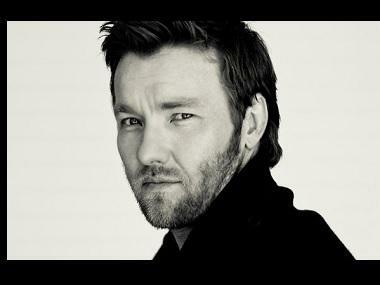 One can see why Edgerton had to sit through three hours of daily make-up to look like his character. The excellent make-up ensures that the physical depiction of orcs and elves looks as realistic as possible. The action scenes are good and the special effects in scenes involving wand magic are impressive. Unfortunately, the special effects cannot make up for a plot so incoherent that almost nothing seems to make sense by the time Bright comes to its climax. Hilariously enough, in a scene in which Ward sees some black substance oozing out from a character, he says, “What’s the black stuff?” We have the same question. And by the way, it is never answered.